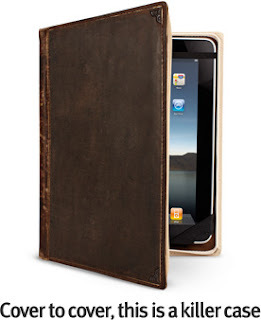 A Bookbinding for Your MacBook Pro or Your iPad? Why Not? 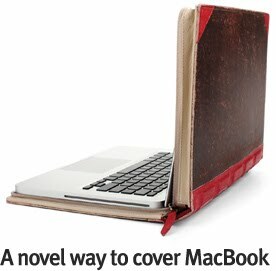 We have TwelveSouth.com to thank for book-style cases for both the MacBook Pro and iPad. I have to admit that these products look really good, even though they are unimaginatively titled "BookBook." Eventually I may spring for one to cover my iPad. 1. To protect your computer. 2. To conceal your computer. Since these "stealth" cases conceal the valuable electronics in dull, old book covers, owners reduce the risk of having their computers stolen. I guess that anyone who would steal a computer would never want to steal a book. 3. To protect your individuality by setting you off from the crowd. The workmanship is top-grade, and the aesthetics pleasing (although I second your observation on the lazy naming). I've used a wallet-style case for my iPhone for almost three years and it's still holding up - and makes people think I'm reading from a real book. Who Owned the Head of France's King Henry IV? Enter your email address below to receive our bi-monthly email newsletter highlighting recent acquisitions and publications. What is a Rare Book?